Electro Technical Laboratory is well equipped with high precision reference source-measure standards for calibration of metrological parameters viz. voltage, current, resistance, capacitance, inductance, time, frequency, power. ETL has well established quality system complying with ISO/IEC 17025. The laboratory is accredited by the National Accreditation Board for Testing & Calibration Laboratories (NABL), Department of Science and techniology, Govt. of India. The reference standards maintained in the laboratory are traceable to national standards. 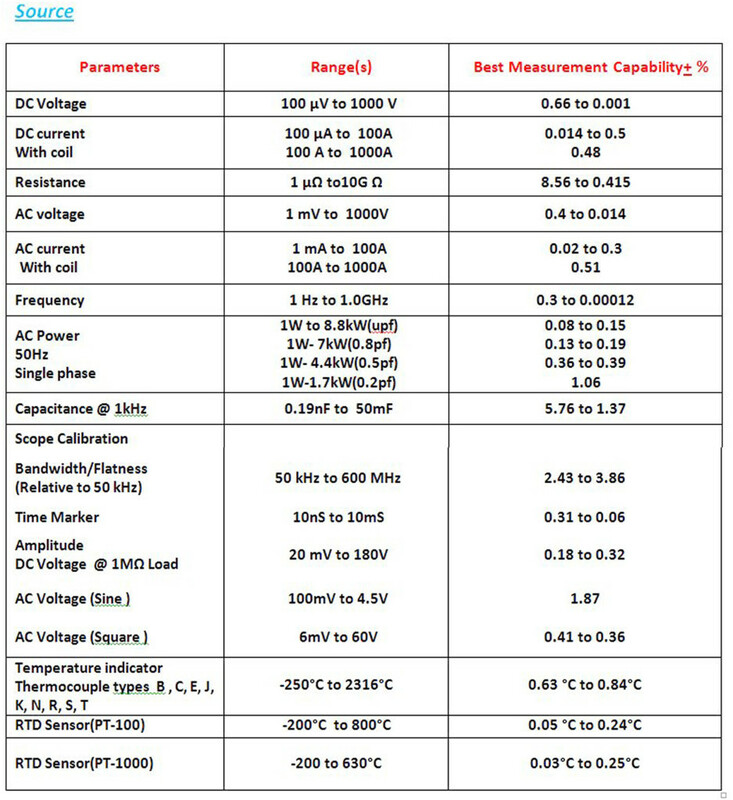 The state of the art electro technical calibration facilities includes Electronic Standard Cells, Standard Resistors, Multifunction Transfer Standard, Multifunction Calibrators, CRO calibrator,Transconductance stnadards, AC/DC Current Shunts, LF Power Standard, RLC Standard , Cesium and Rubidium Frequency Standard, LF & RF Standard Sources etc. ..
1.State-of-the-art calibration standards are used by highly experienced electrotechnical calibration technicians. 2. We provide extensive, accurate and timely electrotechnical calibration services at extremely competitive prices. This laboratory is capable of calibrating industrial and laboratory grade sourcing and measuring instruments. Thermal Calibration lab has facility for Fixed point calibration of SPRTs, HTPRTs and standard thermocouples probe and comparison calibration of all types of laboratory and industrial grade temperature measuring devices as per ITS-90 . Quality system implemented in the laboratory is complying with ISO/IEC 17025: 2005.The laboratory is accredited by the National Accreditation Board for Testing & Calibration Laboratories (NABL), Department of Science and techniology, Govt. of India. The laboratories also participate in the Proficiency Testing (PT) programs organized by the National accreditation body. The state of the art primary calibration facility includes, DC Bridge, Standard resistors, DMM-8½ digit, Multichannel scanner, Quartz sheathed SPRTs & HTSPRTs, TPW cell, Large sealed Fixed point cells( Mercury point to Silver Point) with dedicated maintenance baths and furnaces, PC with dedicated software for the generation of calibration reports wth temperature table. The comparison calibration facility of thermal lab is well equipped with a range reference SPRTs, PRTs, TCs and dedicated digital temperature indicators. A range of highly stable heat sources like LN2 comparison bath,Stirred alcohol & oil baths, dry block calibrators, thermocouple calibration furnace, Zero point well etc. can cover the temperature range from Boiling point of LN2 to 1200°C. The self contained relative humidity generator that measures and controls humidity with high accuracy based on “two pressure “ generation principle have a large working volume to accommodate most of the humidity probes, chart recorders, humidity-loggers/transmitters and higrometers commercially available in industry for calibration. 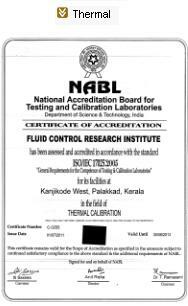 Thermal laboratory is accredited by the National Accreditation Board for Testing & Calibration Laboratories (NABL), Department of Science and techniology, Govt. of India. The reference standards maintained in the laboratory are traceable to national standards. 1.State-of-the-art calibration standards are used by highly experienced calibration technicians. 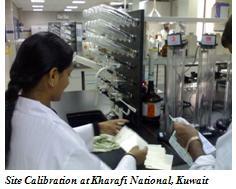 2.We provide extensive, accurate and timely calibration services at extremely competitive prices. 3.Our Temperature calibration services can be performed at your site or in our state-of-the-art laboratories. 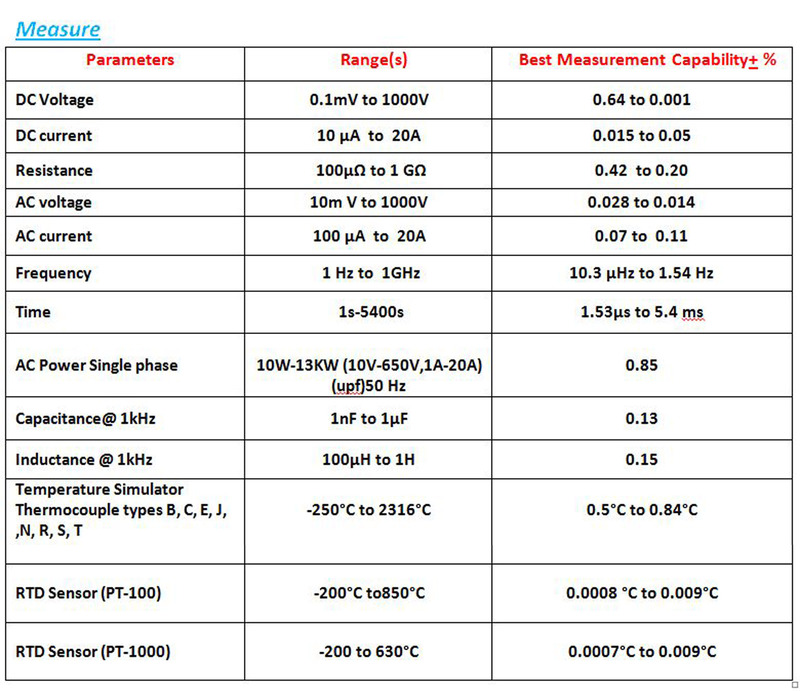 Electro-technical instruments which can be calibrated are listed below. 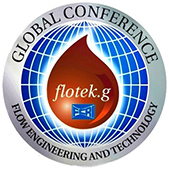 ETL does not limits its services inside FCRI, it also undertake on-site calibration whenever situation demands. 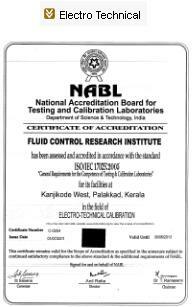 For on-site calibration also ETL have NABL accreditation. ETL has done on-site calibration all over India and abroad.